Myanmar is in the early stages of a transition to a more open government with greater citizen engagement, as stated in its development strategy. However, the practice of engaging communities in the design, delivery and quality assurance of public services is in its infancy, and support for it is patchy among politicians and civil servants. Helvetas Germany wants to improve this situation. Myanmar has a dynamic and diverse civil society. However, because of the country´s recent history, citizens lack knowledge and confidence to exercise their rights. Before the current transition, Civil Society Organizations (CSOs) primarily engaged in advocacy and demonstrations, opposing the government, and in delivering services outside government channels. In contrast, CSOs have relatively little or no experience in implementing long-term development projects, and in constructively participating in dialogue with the government. In order to be successful in long-term projects and with different kinds of local authorities, local CSOs therefore need to enhance their knowledge, skills, and experiences. 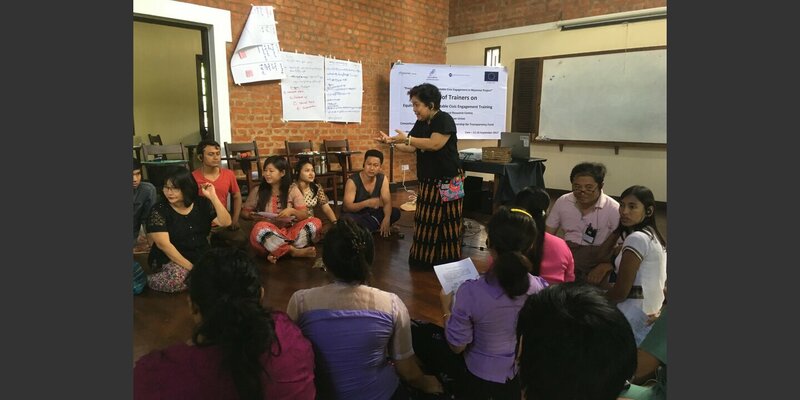 The project PEACE will contribute to enhance resources and strengthen capacities of local CSOs for an empowered and accountable civil society in Myanmar that embraces diversity, promotes social inclusiveness, accountability, transparency and civic responsibility. 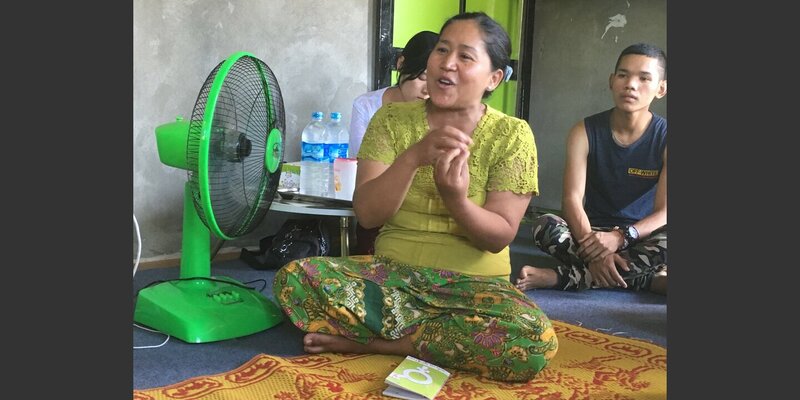 The 'Local Resource Center' (LRC) is our local partner in Myanmar. LRC is a registered Myanmar non-governmental organization and NGO-umbrella network. Until now, support to the LRC has been fragmented, short term and did not allow for more holistic and predictable planning and implementation over a longer period. LRC needs also to be better equipped to negotiate, anticipate, strategize and provide professional services, which respond to the shifts in development frameworks in the country. Together with ‘Partnership for Transparency Fund’ (PTF) we will support the LRC to fulfil its role as an important change agent, local CSO service provider, and key platform in Myanmar. LRC provides capacity building and networking services to over 1000 local civil society member organizations. Through the PEACE project, these 1000 local CSOs are supported in strategic initiatives promoting civic engagement and responsive local governance. At least 500 CSOs are equipped and capacitated to participate in multi-stakeholder platforms, development projects and participate in decision-making with local authorities and public / private service providers at national and sub-national levels. In sum, PEACE will contribute to local CSOs` participation in the planning, implementation and review of development projects, service delivery, and policies at national and sub-national levels, for a more inclusive and equitable development in Myanmar. This project is financed by the European Commisson. More information about the Delegation of the European Union to Myanmar you can find here. Learn how the rural communities in Myanmar improve their income and strengthen civil society in its new role. 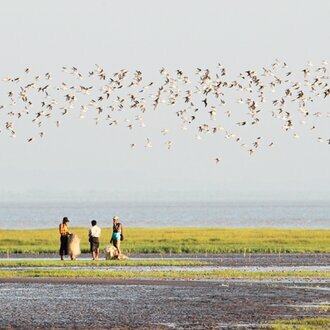 Helvetas is helping Myanmar fishermen develop sustainable fishing in the Gulf of Mottama. Click your way through our multimedia story!